If this sounds like the service you're after, call me 0416 643 782 or send a message. ﻿"What a service. We've used John several times for all sorts of jobs, the last being a custom made shelf that stretches across a whole wall. He listened to what we wanted and came back with a design which we loved. He is punctual, easy to work with and is very tidy. Also the standard of his work is exceptional. In short I'd highly recommend him and we'll be using his services again." "We contacted John to fix up a few things in our unit before renting it out. John is polite, punctual and friendly and did a good job of the tasks including tricky things like hanging doors. John offered helpful advice and we had no hesitation having him in our home while we were at work. He went the extra mile, returning to adjust a door and also left us a spare shelf for the unit he had installed. We'll happily recommend John at Helping Hands to family and friends." 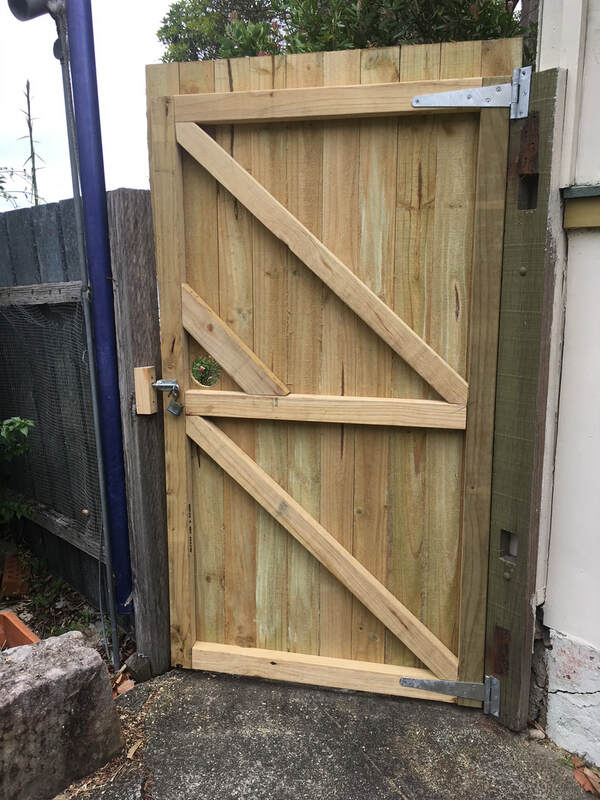 This Balmain gate was designed with half-lap joinery for durability and built from treated pine to match the fence. 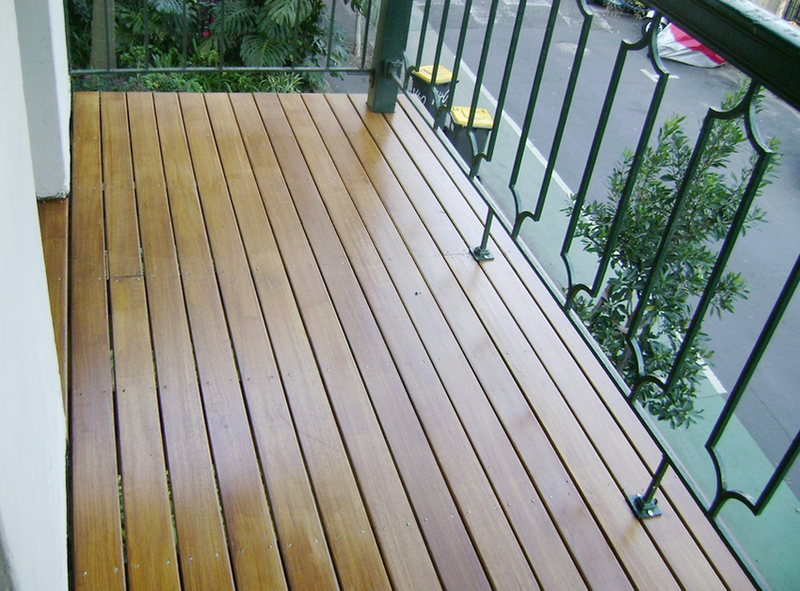 Brightening up this terrace house verandah with new hardwood decking. This Annandale customer needed a cat door in a window, so I removed the glass and fit the door into a plywood panel, painted to withstand the weather. 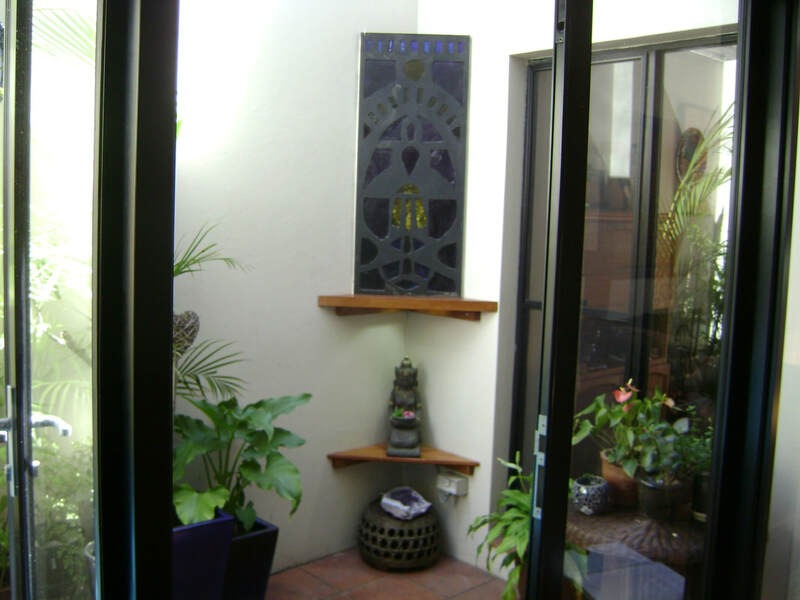 Claire in Leichhardt wanted to feature this glass panel as a present to her husband. I put it on hardwood shelving and lit it from below.